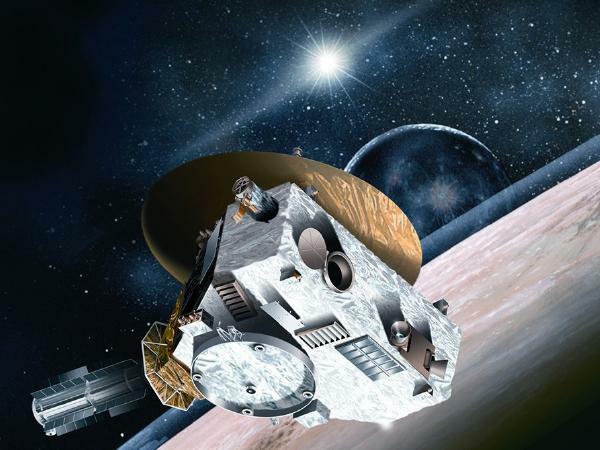 On the New Year day,NASA’s new horizon spacecraft would explore the past Ultima Thule,one billion miles beyond Pluto.It will be the farthest expedition ever made by a spacecraft to study the worlds. NASA launched the New Horizon spacecraft in 2006,having only a size of baby grand piano. In 2015,it explored Pluto and send the first close-up images of the dwarf planet.Now the spacecraft become older and the distance to the 1.6 billion miles from Pluto,which makes the things little nervous. Ultima Thule is located at the central position of Twilight zone,whereas the Pluto comes the barely at the border of its Kupier belt. The Kupier belt objects were identified only recently, in 2014 by the Hubble space telescope,and thus Ultima Thule is officially known as 2014MU69.The original size of the object is yet to know, however, the scientists expect it 100 times tinier than Pluto which measures almost 1,500 miles (2,414 kilometers) in diameter. New Horizons will flyby Ultima Thule from a distance of 3,500 kilometers ( about 2,200 miles) its optimal path and thus provide a closer view about the farther world known by humankind. Scientists are expecting to get a picture about the origin of galaxies by studying the rock,hence, the particles of this distant asteroid belt remains as tiny particles without joining one another and that was a sort of primitive thing.Particularly, the rocks are expected to be in a state of frozen primitive leftover remnants from the birth of the Solar System. When the planets first formed 4.5 billion years ago, the materials in the Kuiper Belt region didn’t join together to form new worlds but instead remained as tiny fragments. Thus the curiosity to explore new world would bring some hope about the formation of our solar system.